Southall Governing Body plays a vital role in school improvement and strategy. Full Governing Body meetings are held every half term. There are also various sub-committees which feed into the main body meetings. Governors each have lead areas of responsibility and these are listed on the ‘Attendance of meetings’ document. 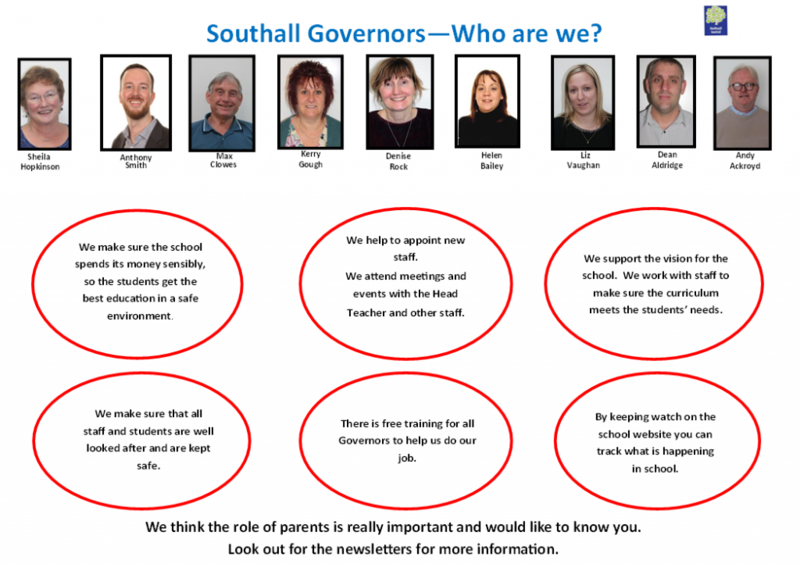 If you would like any further information regarding governance at Southall School, please contact Karen James, School Business Manager.